To keep your landscaping looking its best year-round, we recommend having your irrigation system audited at least once a year. We’ll look for faulty sprinkler heads, adjust run times and check for system leaks. At Quality Sod & Landscape Solutions we employ the latest smart controls, rain sensors, and technology to ensure your property isn’t using too much or too little water. Even though most irrigation systems today are fully automated, they should be inspected to ensure that the sprinkler system is working at peak performance. As licensed and insured irrigation contractors, we offer complete residential irrigation services for customers in, Hernando, Pasco, Hillsborough Counties, and the surrounding Tampa Bay area. 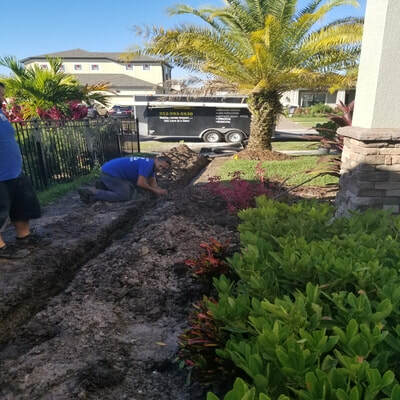 ​Maintaining a beautiful and luscious landscape for your Tampa area home requires a trusted residential sprinkler maintenance and repair service. At Quality Sod & Landscape Solutions, we have years of professional experience in providing top notch landscaping watering solutions for our customers. Maximizing and maintaining watering efficiency will help keep your water bill down while keeping your yard beautiful. Our expertise ensures that your landscaping remains healthy and attractive for your enjoyment. Contact Quality Sod & Landscape Solutions to speak to us about your sprinkler installation, maintenance, and repair needs. Quality Sod & Landscape Solutions will address any problems with your sprinkler system. Whether it is a faulty controller, leaky sprinkler head, damaged pipes or an outdated system, we will diagnose the issue and restore full function to your irrigation system. Pinpointing the issue is the first step in the process. Any problems you are having may not be immediately visible on the surface. With years of extensive professional experience, our experts are able to accurately trace any problems back to its source to provide you with the most effective solution to the problem. Call us today at 352-593-5830, for assistance with troubleshooting your malfunctioning sprinkler system. ​Quality Sod & Landscape Solutions has established itself as the leading irrigation and drainage specialists for commercial properties in the Tampa Bay area. Our team provides thorough service backed by years of experience and knowledge. We offer custom solutions for our commercial clients for their individual needs. We know how important it is to make sure your landscape is beautiful and thriving. We work with commercial clients to assist them with all aspects of their irrigation systems. From concept to completion, we work our commercial customers to ensure their system is in optimal condition. Having complex irrigation needs many developments need to design around pedestrian traffic or cover small sections of landscaping, we can design and maintain all systems to keep our commercial clients on budget, save water and looking their best year-round. In addition to sprinkler systems, Quality Sod & Landscape Solutions, also provides drainage services and solutions. If you notice water pooling around the foundation of your home, the first step you’ll want to take is to call Quality Sod & Landscape Solutions. We will check to see if your grading and foundation were completely properly. We’ve found throughout our experience, that there are many homes in Trinity, Hudson, New Port Richey, East Lake, Tarpon Springs, Holiday, Clearwater, South Tampa and the surrounding Tampa Bay areas that have improper grading which leads to water pooling around and seeping into your home. If water is seeping into your home due to improper grading, it can lead to interior problems as well. Mosquitoes, pests, and other insects are attracted to stagnant water. Proper drainage will ensure that your property doesn’t become a breeding ground for these unwanted pests. Your lawn can be harmed if standing water is allowed to pool for long periods of time. To avoid exterior water pooling at your home’s foundation, our grading specialists can make sure that your soil slopes away from your home. This will prevent water from seeping into your home causing costly foundation issues. To avoid future issues, call us today so we can resolve your yard grading and yard drainage problem before the next heavy rain has water seeping into your home. 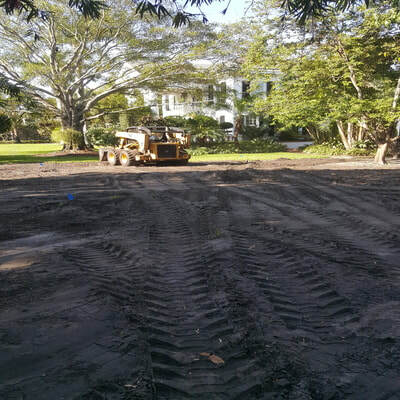 If you would like to hear more about our grading and drainage process, ​Call Quality Sod and Landscape Solutions today at 352-593-5830, or fill out our convenient form above for your free estimate or pricing questions. We are here to help with all of your outdoor servicing needs.